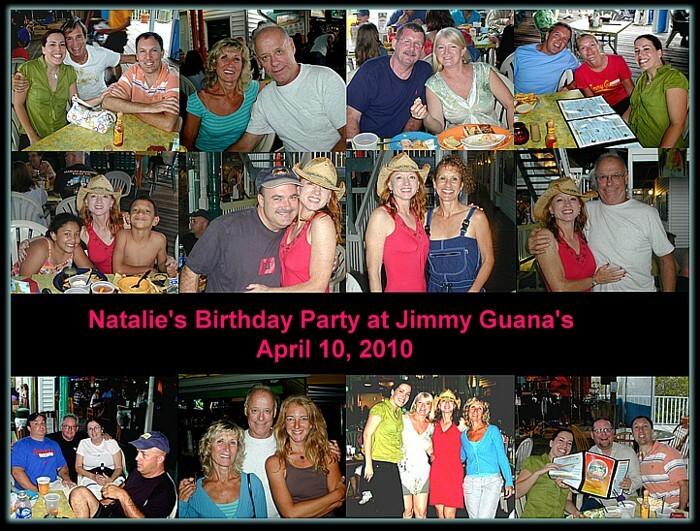 Natalie decided to celebrate her birthday at Jimmy Guana's and invited all of us to come on out. However Natalie and Ray only skate (98% of the time) on Thursdays Only us Thursday skaters knew her. Maybe now people will remember her in that slinky red dress. I mean "beautiful red dress". The band at Jimmy Guana's was unique and exceptional. Well I'm not sure you call two people a band but the music was good. A few did dance to some of the tunes and Michael showed us his dancing skills Four of our ladies got out there on the dance floor and gave us a good show also. The food at Jimmy Guana's was good and reasonably priced. All this made for a very pleasant evening out. Thanks Natalie and Ray for a grand time.